As you can see, I took a trip to Sephora today. 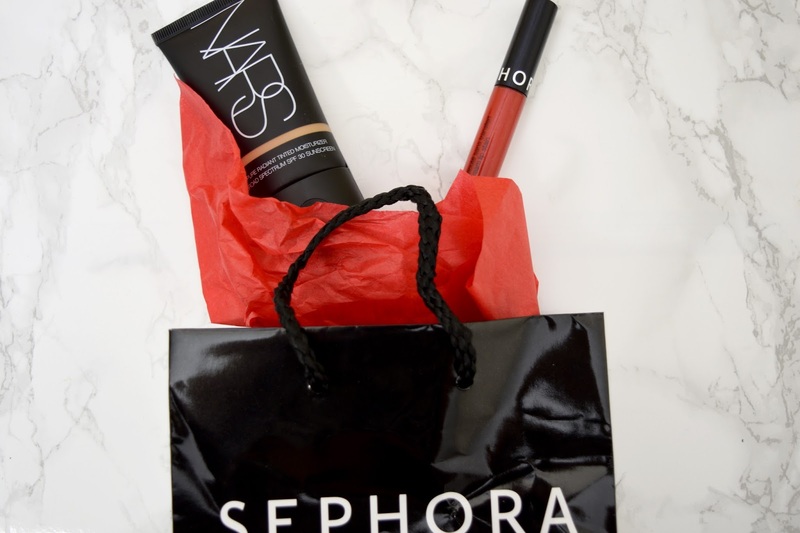 This is actually only my second time purchasing anything from Sephora like, ever (cue gasps)! I went in there to purchase a cream lip stain after marveling over the color in this blog post by Allison from Mercuteify (check her out!). I swatched this color, and immediately fell in love. It's the Sephora Cream Lip Stain in the color #1. I will definitely feature it in upcoming posts so you can see how the color looks on my complexion. I've also been thinking about picking up a tinted moisturizer because I hate wearing foundation everyday, and all I want to do is even my skin tone out a tad. I did the color IQ matching system for the second time today, and was matched to the NARS tinted moisturizer in the color Cuba. 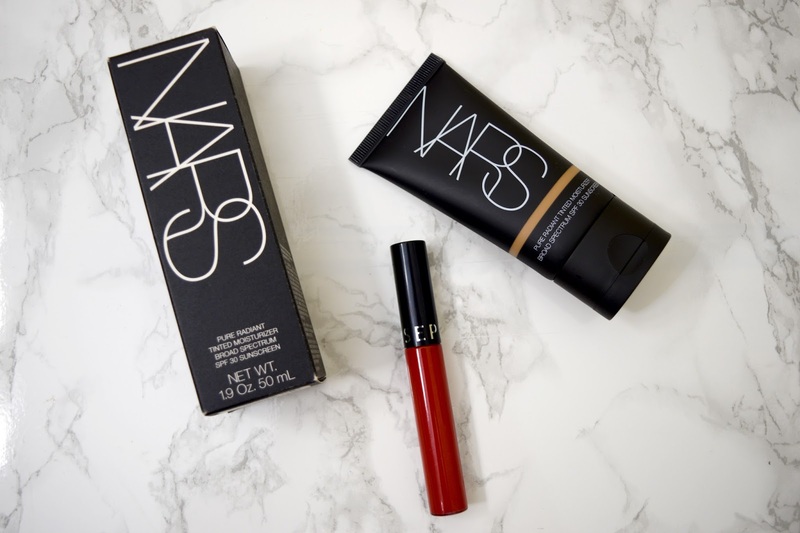 This is my first NARS product, and I'm hoping it will live up to all of the hype, and be worth the $43 spent! I will let you know how I feel about it after a few weeks of wear. Fingers crossed both products are going to be new staples for me!